They are a crucial part of your life – whether you like that association or not. Music permeates your life more than you know. How many life experiences do you have that are attached to a song, artist or album? How many movies do you watch with incredible soundtracks that make your heart race or break? What song makes you cry? What song psychs you up for your next gym session? What episodes of your favourite TV show features songs you start singing along to? Musicians made all of these things possible. They are not all sloppy, poor, disorganised souls – in fact most are the opposite. Many are quietly meticulous, financially stable and very organised. There are a few sloppy souls giving musicians a bad rap in this area. Don’t let one mayhem musician or someone else’s sweeping statement about musicians define your opinion. Accountants can be sloppy. Bankers can be sloppy. Teachers can be sloppy. Point made. Their music gear is sacred. Don’t touch their gear unless you have direct consent. I’ve had someone rest a glass of champagne on my $3k keyboard, treating it like a tabletop. No. Do I come to your office and start messing with your work files or computer or eat a messy burrito in your new leather-seated, pristinely clean Lexus? No. All of these are positive and non-judgemental, highlighting that you have in fact been listening to them and you like what you hear. Also – never underestimate the power of asking them what they are doing! If they get the chance musicians love to explain what they were just doing to a captive audience – they’re stoked someone noticed! Musicians are a steady mix of utter confidence in their abilities and absolute insecurity about every single note they play or sing. I think this is in part due to their sensitivity (yes it’s still here) but on the one hand they know they can play or sing, whilst on the other they can name everyone they know who is better at what they are attempting. For some musicians this swing can be across a pretty deep cavern, for others less so. Musicians walk a line where they must be aware of what they need to improve in order to make it better – some practice sessions or performances can feel absolutely hopeless (despite what the audience notices). That is, until they finally achieve what they were aiming for – playing in a certain key, a riff, a short phrase, a style. Then they feel brilliant! Until they find something else they haven’t mastered. And on and on it goes. – you’ve requested a heavy rock’n’roll song . . . from an acoustic duo (aka wrong kind of band mate). – you’ve requested something inappropriate like Eminem at a wedding where there’s older people and kids present. Or a ballad in the middle of a dance set. Or a song the venue (who often pays them and has full power over whether they return or not) does not approve of. – you’re just drunk and a little bit sloppy. You did spit in their face a little when you made the request . . . not the classiest move. Original artists have the hardest time – they need your support. These guys feel the insecurity tenfold because not only are they judged for choosing to be a musician, they’re judged for trying to create music from scratch. They pump everything into their art – time and money – and this is judged by so many people as an unwise investment which simply is not true. So many hearts on so many sleeves here. SUPPORT ORIGINAL MUSIC. Go to their gigs. Buy their music. Share their music with everyone. Watch their videoclips. Look for new original music – there is So. Much. Out. There. These guys are the pioneers of new sounds, new lyrical ideas, new musical concepts – they literally shape the future of sound so get behind them. – local singer/songwriter nights – plenty of venues, pubs and cafes run these. Do some research and go along. – YOUTUBE – the deep ocean of original musicians from all over the world. – online sites like SoundCloud, Bandcamp, Triple J Unearthed and pretty well all social media. There is a career in music. Choosing music as a career path is not just a cop out, trying to avoid a “real job” (when people say this to me my blood boils). The music industry is broad and there are far more options as to what you can do within it than people realise. “Making music” could be defined as gigging/performing, teaching, producing, instrument making, retailing, artist managing, venue-owning, festival organising, logistics, promotions, publicity, distributing, training and so on. Every one of these areas is valid and they keep SO MANY PEOPLE employed day to day. Don’t tell me there’s no career to be had as it’s simply not true. Musical success is not just a billion dollar record deal and super fame. “But you haven’t MADE it, why are you bothering?” Please don’t be narrow minded on this – and especially do NOT project your thoughts on this to a musician. This point comes down to your definition of “success”. Musical success is not just fame, glory and money (although for some it is – and kudos to you if that’s you) – success can also be defined by musicians as simply being able to make music for a living. Musicians love that they are able to make music and that’s enough for them! So no, not all musicians are aiming to be the next big pop star, and THAT IS FINE. Great, in fact. 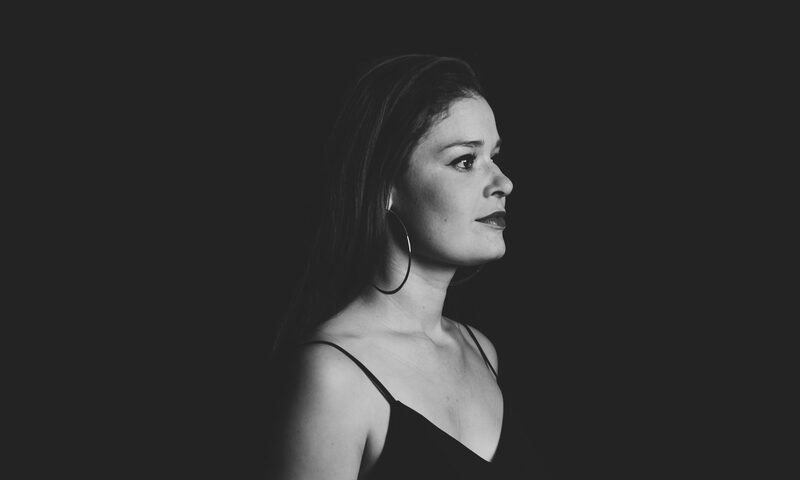 Jess Knaus is a musician, producer, original artist (Jess Starreveld) and writer based in Newcastle, Australia.